Home / -News- / ABBA / The Music of ABBA Returning to the Big Screen in "Mamma Mia: Here We Go Again"
The Music of ABBA Returning to the Big Screen in "Mamma Mia: Here We Go Again"
Mamma Mia! was a worldwide hit both in the theater and on film. Just in the United States, the movie took in $144 million and is number 6 on the list of all-time live action movie musicals while, throughout the world, it took in $600 million. 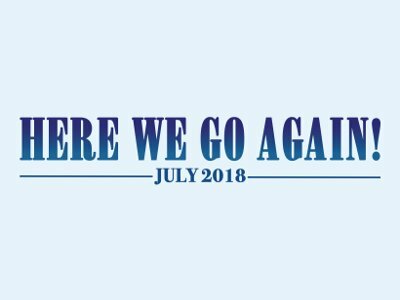 So it's no surprise that Universal wants to take another dip into the catalog of ABBA with the upcoming film Mamma Mia: Here We Go Again. Already cast, the film is expected to hit theaters on July 20, 2018. A number of the stars of the first film, including Amanda Seyfried, Meryl Streep, Christine Baranski, Pierce Brosnan and Colin Firth, are expected to return along with a new character played by Lily James who is currently the star of the surprise hit Baby Driver. Writing and directing is being handled by Ol Parker who previously wrote both The Best Exotic Marigold Hotel and The Second Best Exotic Marigold Hotel and directed Now is Good and Imagine Me and You. Production is by Judy Craymer and Gary Goetzman with ABBA's Benny Andersson and Bjorn Ulvaeus as executive producers. Information on the film indicates that a number of ABBA classics not used in the original film will be featured along with the return of a few favorites from the 2008 movie.